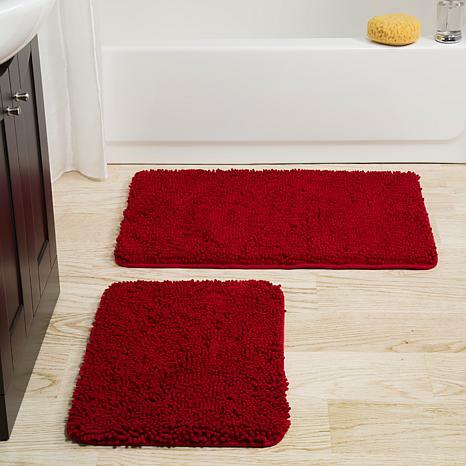 Step out of your tub and into luxury with this memory foam shag bath mat set. 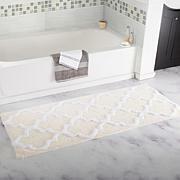 Add a bold pop of style with high-pile chenille shag rugs. This set features a soft and absorbent top layer of chenille and a memory foam core to bring you maximum comfort while you dry off and get ready to start your day. Thick n soft. Color is great. Just wish they had toliet seat cover 2 go with the mats. Very pleased with the quality. These were a gift for a special friend and she absolutely loves them!!! Thanks HSN!!! These are more than I thought they would be. I know the "shag" should be soft, but with the memory foam it just made it that much better. 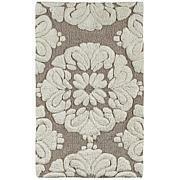 The smaller rug is much smaller than I thought it would be but works well in front of the sink. The color was represented well. i would buy these again. Wish there was an option to just buy one size or the other. 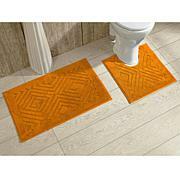 I have had this set for about 2 weeks, and love them, they are so soft to step on in the morning but absorbent and warm as well. I have washed them in the washer and they look brand new again! and yes I have pets which shed a lot, however it hasn't been a problem.